Like reading about BBM & Lil Pinkxi’s adventures? Help support BBM by collecting these designlicious and totally awesome limited edition character plushes. They are 110% designed and handcrafted in Australia by BBM himself. Every piece is handsewn and shipped with love! BigBrownMonster is the king of the house(work). He dreads cleaning up after Little Pinkxi’s ‘accidents’ but knows very well that she is working hard to keep those at bay. 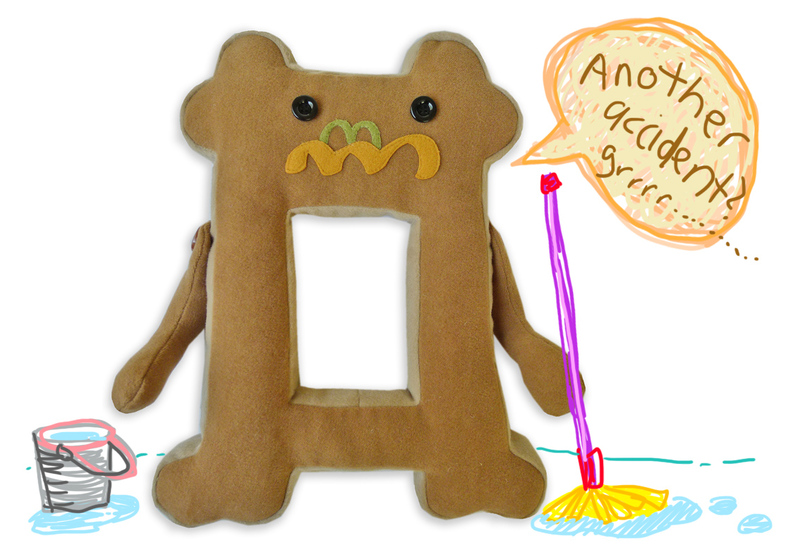 BigBrownMonster measures 36 x 28 x 6 cm and has moveable arms. 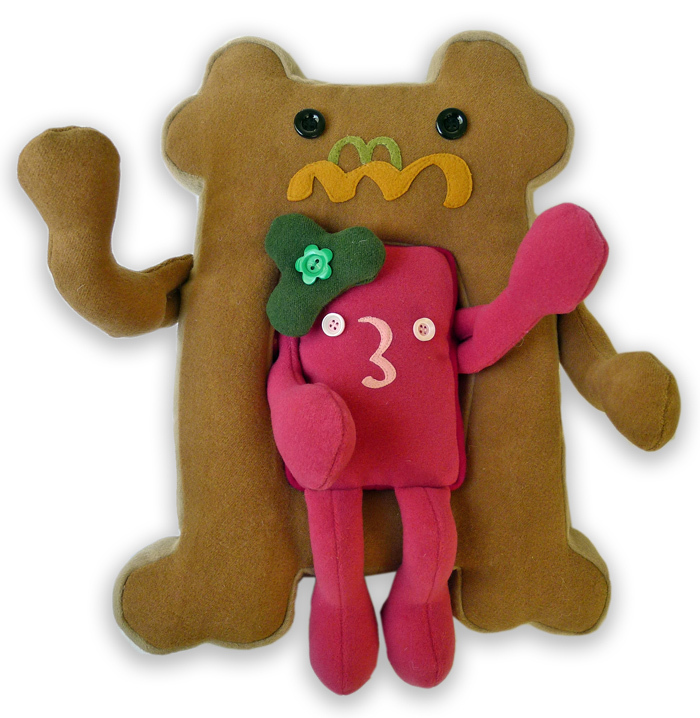 Find out more about BigBrownMonster & his stories here. Little Pinkxi is sitting pretty on her favourite stool, contemplating on the Universal Scheme of Things. She measures 26 x 15 x 6 cm and has moveable arms. 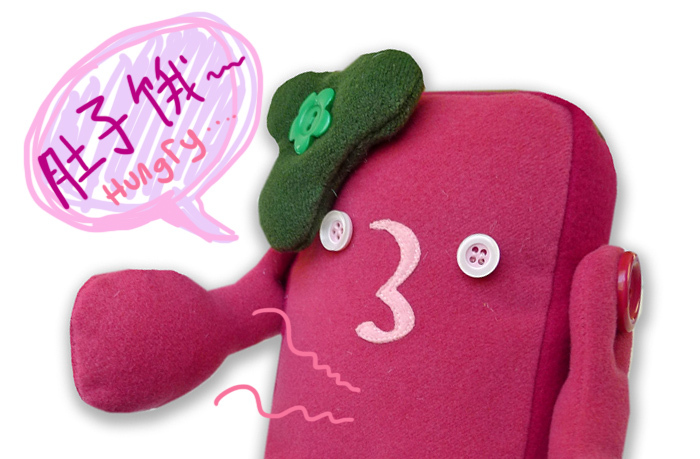 Find out more about Little Pinkxi & her stories here. 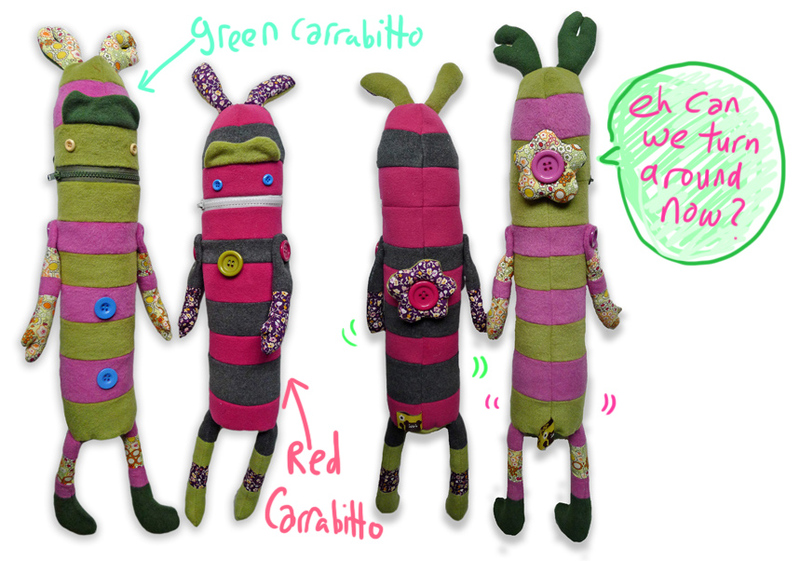 Red and Green Carrabittos are best buddies. They love nothing more than sneaking up on crumbs and oh-so-heavenly vegs that ‘drop off’ from Pinkxi’s dinner plate. Red Carrabitto measures 60 x 14 x 10 cm and Green Carrabitto measures 68 x 14 x 10 cm. Both fellas have moveable arms and their own flower growing on their backs. Find out more about Carrabittos & their stories here. 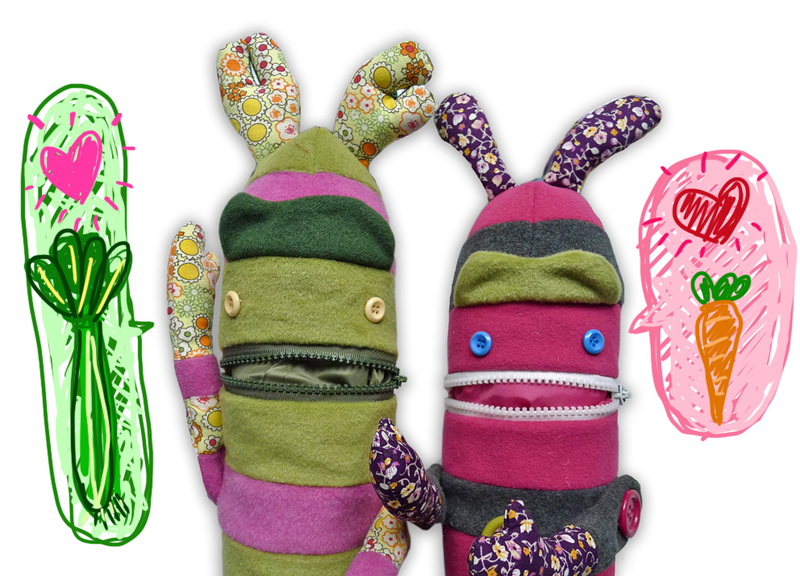 These plushes have buttons sewn on, hence they are not recommended for children under 3. Play should always be supervised by an adult whenever possible. It is made with all new material and stuffed with polyester wool. It is recommended for surface clean only. 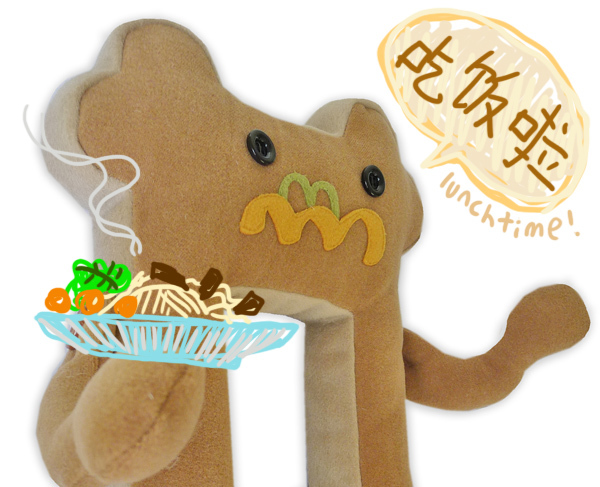 All character plushes are proudly designed and assembled by BigBrownMonster in Melbourne, Australia. 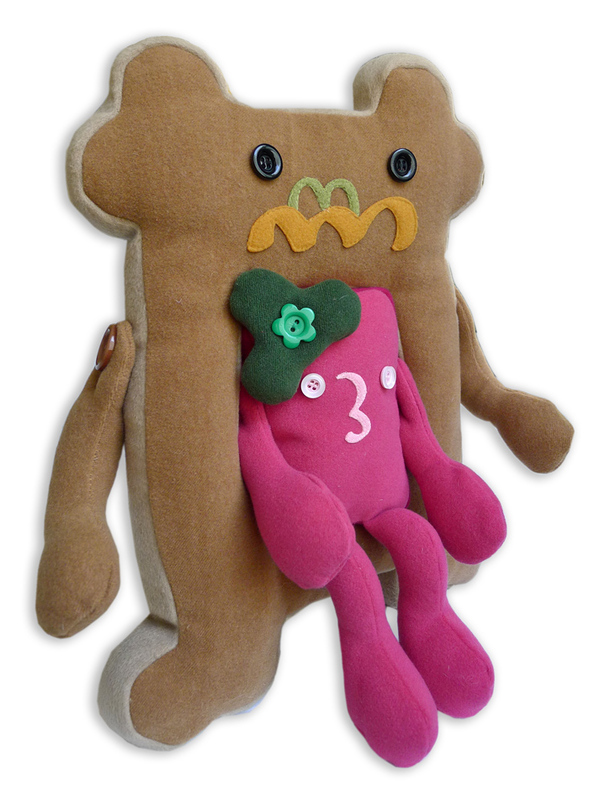 >> Pick up a BBM-made plush today + check out other goodies that have just popped up in The Store.